NEW LINE of Chaparral Fifth Wheels and Kropf Park Models are available NOW! Come in Today to find the RV that will suit Your needs. 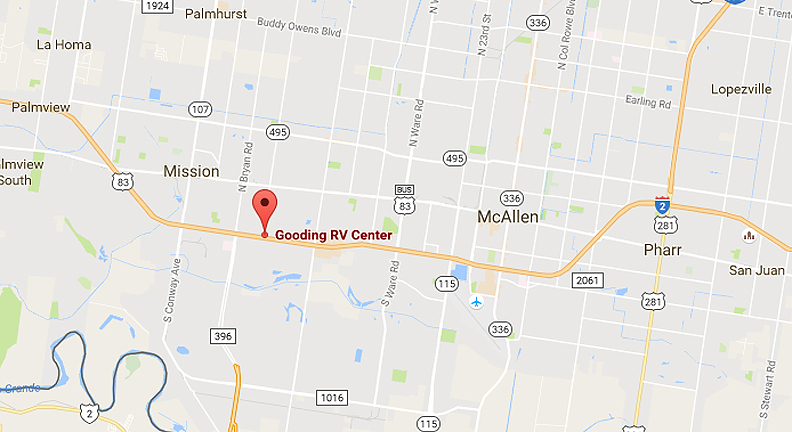 Gooding RV Center has been serving the camping and RV needs of local residents and visitors in the Rio Grande Valley of South Texas since 1979. We are proud to serve customers both from South Texas and Mexico. We sell quality recreational products and follow up every sale with superior service. Our parts store is stocked with many hard to find parts. We have a selection of NEW PARK MODELS by Kropf with unique floor plans and features. For those looking to sell their current units, we offer the convenience of trade in and then carefully recondition those pre-owned units for resale. Our wide selection of NEW FIFTH WHEELS include quality built units by Sabre with a variety of floor plans available. * A local resident looking for a "weekend getaway"
We look forward to the opportunity to serve you and hope to see you soon. 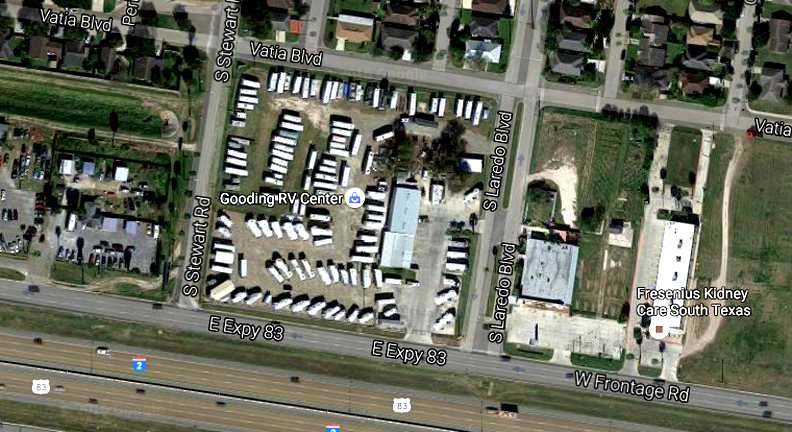 Gooding RV Center is an RV dealer in the South Texas Rio Grande Valley city of Mission, Texas. We provide excellent Recreational Vehicle sales and service to residents of Mission, La Homa, Penitas, Rio Grande City, McAllen, Pharr, San Juan, Alamo, Donna, Weslaco, Mercedes, La Feria, Edcouch, Elsa, Harlingen, San Benito, Brownsville, Los Fresnos and South Padre Island. We have many Fifth Wheels, Travel Trailers, Destination Trailers and Park Models on our lot for you to choose from. We stock new Sabre Fifth Wheels, Salem Travel Trailers, Salem Destination Trailers and Kropf Park Models. We have a variety of pre-owned, used, RVs as well.